British Hurricane announce new roster; Reinforce not a part of the OWL Season 2. Overwatch Contenders team British Hurricane announced a few changes to its roster. The organisation has swapped out two players as MikeyA and Crusade are no longer associated with the team. The team has several European players from various teams and they have had a track record of success. The Overwatch league team which owns the British Hurricanes, the London Spitfire won the Inaugural Season. As we bid farewell to @MikeyA and @CrusaDe, please join us in welcoming @Jofi_ow and @numlocked to the team for the coming season! Cloud9 owner Jack Etienne also had something to say about the new roster for the British Hurricanes. Reinforce will not be a part of Overwatch League Season 2. Former Overwatch League talent and player, Reinforce is no longer associated with the Overwatch League. Formerly an Overwatch player, Reinforce took to being a talent on the desk and successfully at that. The viewers loved him and he provided a lot of insight into the cast. Being a former successfully player, Reinforce was often able to provide analysis into the team’s movements and their decisions. He also had a lot of input when it came to movement of the players on the map. 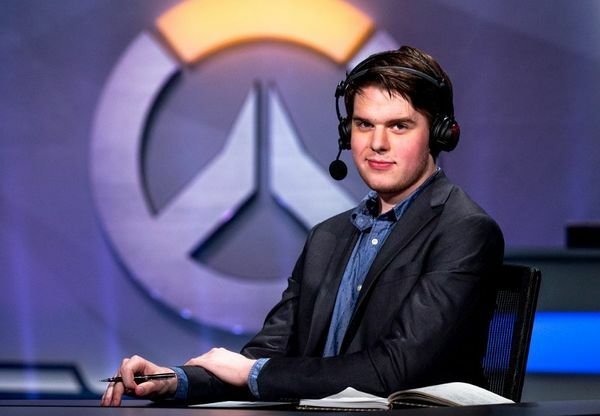 However, for reasons unknown, it seems that Reinforce’s contract has not been renewed. SeveraHoweverl Overwatch League Season 1 talents and production crew have seen themselves shown the door for Season 2. Most notable was the non-renewal of the observers for Season 2. Reinforce himself was a professional Overwatch League player. His experience as a former pro player provided deep insight into minute details of a team’s playstyle. As a tank main, he was able to point out mistakes or exceptional plays that would normally have gone unnoticed.